Take a supplement for the stomach. It should include Glutamic Acid, Betaine, Pepsin, and sometimes Bromelain. Or just take the amount of HCL Betaine you’ve determined to be your needed dose per the stomach acid test. 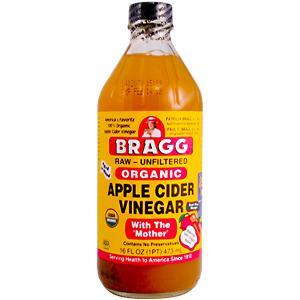 Take a teaspoon or tablespoon of ACV with meals, and eat something vinegared or lacto-fermented such as saeurkraut. Drink 4 ounces of pineapple juice. Drink a small lemonade with the juice of half a lemon and a dash of salt, or the Cleansing Drink. Drink a cup of peppermint tea. Avoid taking calcium with meals, or taking anti-inflammatories. Be sure to get enough B vitamins, especially B6, and organic sodium, both of which are pre-cursors to HCL (Hydrochloric acid). Take 500 mg of Malic Acid, a fruit acid.